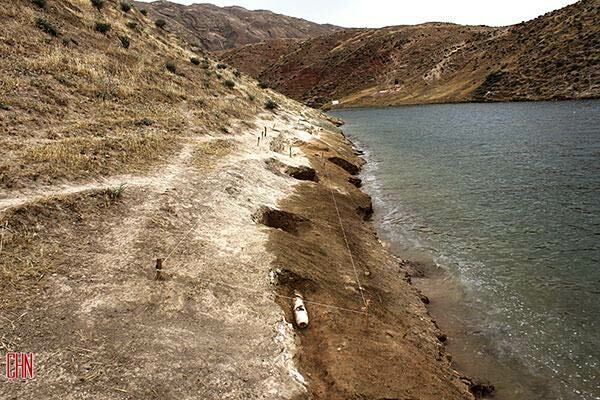 A 5000-year-old water system has been unearthed during the second season of a rescue excavation project at the Farash ancient historical site at the Seimareh Dam reservoir area in western Iran. 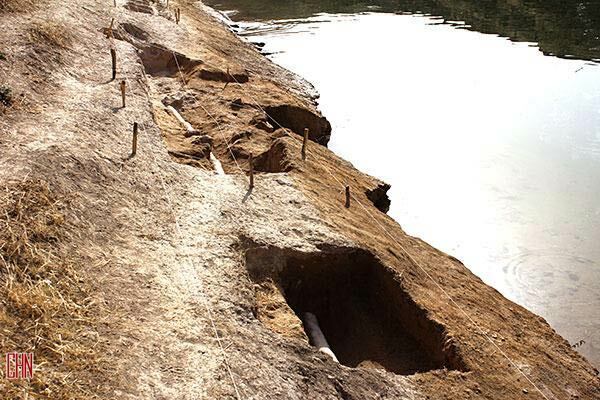 An archaeological team led by Leili Niakan has been conducting the second season of their rescue excavation since March, when the Seimareh Dam came on stream. The team plans to save ancient artifacts and gather information about the ancient sites that are being submerged by the reservoir of the dam, which became operational in early March. 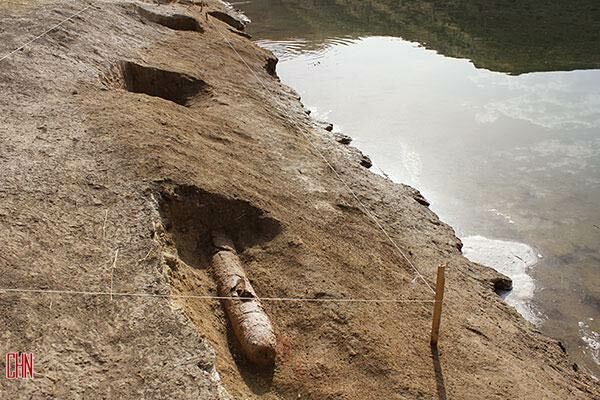 This system, which comprises a small pool and an earthenware pipeline, was discovered on the eastern shore of the reservoir of the dam on the border between Ilam Province and Lorestan Province, Niakan said. Niakan said part of the water system has been submerged as the water level has risen. 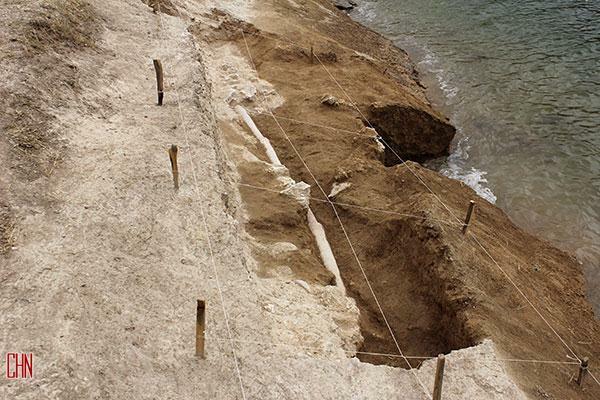 However, the team covered that part of the system beforehand to save it for future archaeological excavations when the dam is put out of commission, she added. Each earthenware conduit measures about one meter in length, and it is likely that they were made and baked in this region, Niakan stated. 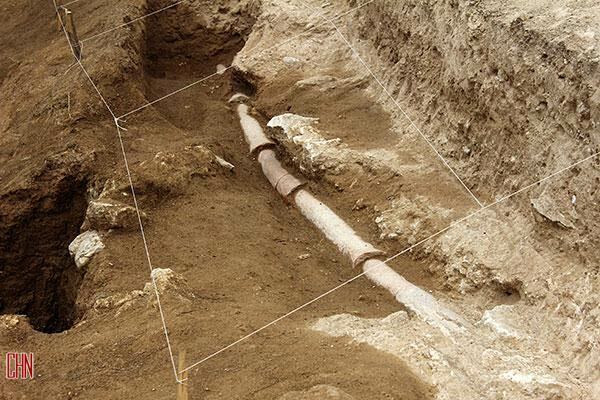 The team is still working on the site to unearth the rest of the pipeline, which may lead the archaeologists to the source of the pipeline, she added. 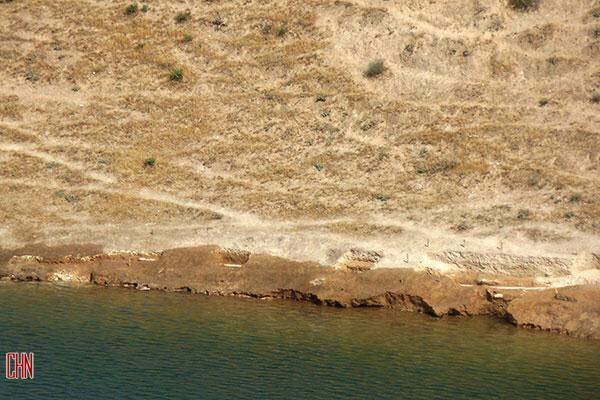 Over 100 sites dating back to the Neolithic, Bronze, Copper, and Stone ages and the Parthian, Sassanid, and early Islamic eras were identified in the projected area of the dam’s reservoir in 2007. 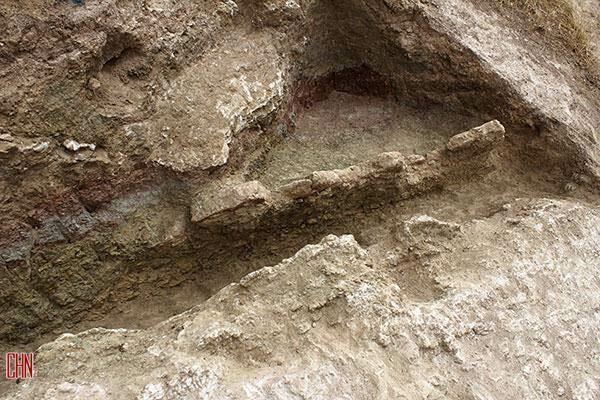 Afterwards, 40 archaeological teams from the Iranian Center for Archaeological Research (ICAR) were assigned to conduct rescue excavation operations at the 40 ancient sites in the area in the first season. Signs of Mesopotamian influence in the region were also identified by studies conducted on the ancient strata of the area. Most of the sites have been flooded by the reservoir of the dam, and the rest will descend beneath the water after the filling of the reservoir is completed. The technology is upper neolithic, pottery with stone tools, and knowledge of piping water through artificial means! So incredibly clever and so apt for the use. Wonderful application of an early technology.